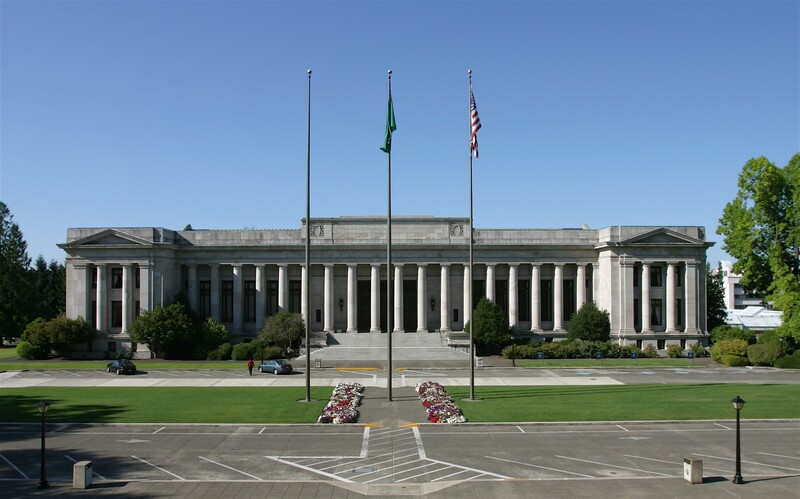 A controversial decision from the state Supreme Court this morning to knock down the voter-approved Washington law requiring a two-thirds "supermajority" vote for tax increases somewhat appropriately received support from two-thirds of the court. Justices voted 6-3 for the majority opinion, declaring the supermajority requirement "unconstitutional" because it conflicted with the legislature's powers in the state constitution. The court did not rule on a separate issue over voter referendums. The case, the League of Education Voters v. the state of Washington, stemmed from the Tim Eyman-backed Initiative 1053 that voters approved in 2010. Several similar laws have also passed voters to require a two-thirds vote for approval. "Today we hold that article II, section 22 [of the state Constitution] prohibits either the people or the legislature from passing legislation requiring more than a simple majority for the passage of tax legislation — or any other legislation," the majority opinion states. Eyman, an anti-tax activist who has pushed several voter initiatives on the issue, released a statement arguing Washington voters had repeatedly supported legislative limitations on tax increases for 20 years. Most recently, he notes, voters supported I-1185 that reinstated the two-thirds requirement for raising certain taxes. "Almost 2/3 of voters approved the 2/3-for-taxes vote requirement in November," he says in the statement. "That's 1.9 million voters. It passed in every county and received overwhelming support in every legislative district outside Seattle." Justices Barbara Madsen, Susan Owens, Mary Fairhurst, Charles Wiggns, Steven Gonzalez and Tom Chambers signed the majority opinion. Justices Charles Johnson, James Johnson and Debra Stephens signed dissenting opinions. Justice Sheryl Gordon McCloud did not participate. The majority opinion affirmed lower court rulings that the supermajority requirement fell within the jurisdiction of the court's authority. "We conclude that the Supermajority Requirement's constitutionality is justiciable because the requirement has nullified the legislator respondent's votes by preventing the passage of tax legislation that received a simple majority vote," the opinion states. "The majority disregards the importance of individual rights as the centerpiece for the state constitution and our populist roots; illogically construes the plain language of article II, section 22; and fails to consider historical evidence that establishes that the provision simply sets out a quorum requirement. The supermajority requirement created by I-1053 in no way violates our state constitution." The majority opinion emphasizes the Supreme Court had not passed judgment on the concept, just the conflict with the state constitution. The opinion says legislators could always change the constitution. "Our holding today is not a judgment on the wisdom of requiring a supermajority for the passage of tax legislation. Such judgment is left to the legislative branch of our government," the opinion states. "Should the people and the legislature still wish to require a supermajority vote for tax legislation, they must do so through constitutional amendment, not through legislation."